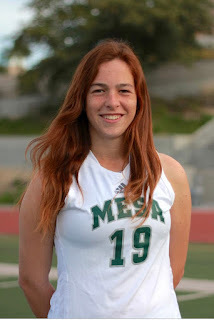 Junior lacrosse player Carcie Chappell is a captain on this year's varsity team. "Carcie works hard on and off the field, showing great leadership by example," said her coach, Molly Sovacool. "She is a versatile player that can play attack, midfield and defense. All coaches wish for player that has a heart like Carcie. She currently has 10 goals this year and is improving every game." Tennis player Christian Daga has a 22-2 record in matches this season. He is the team's No. 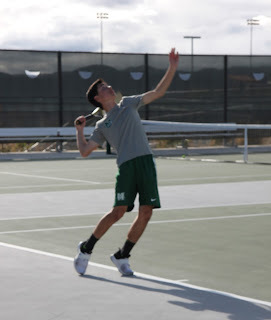 1 singles player.